In the early 1800s in Tokyo, sushi (as we would come to know it) was something you ate on the street. The first guy to hand-press pieces of fish onto nubs of vinegared rice sold it to everyday workers from a box he carried around on his back. In the society of the late Edo period, sushi was as accessible as the chum-stuffed plastic clamshells sold from the cooler at Walgreens (though probably a lot better). 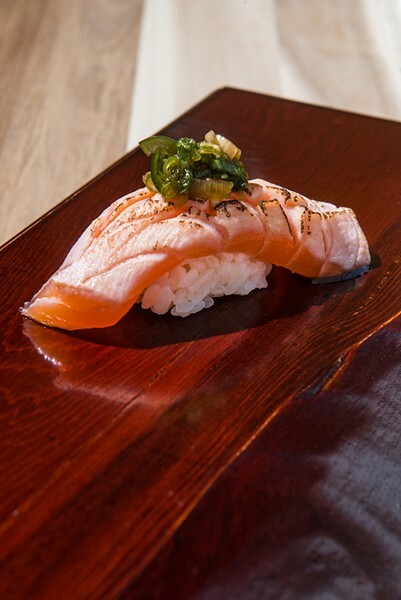 The rarefied omakase (roughly, "chef's choice"), popularized by Jiro Ono of Tokyo's world-famous Sukiyabashi Jiro and now recognized as the highest expression of Edomai-style sushi (as it was known), was a long way off. 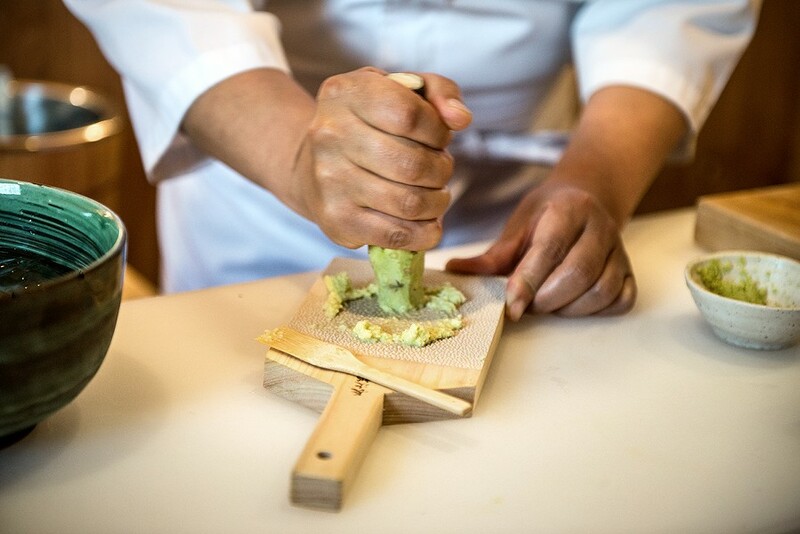 Now, very soon, a showdown is about to go down in the world of Chicago omakase. In May, chef Otto Pham of Kyōten Sushiko in Austin, Texas, announced plans to open a seven-seat sushi-ya in Logan Square where he'll charge $250 for his omakase. * Pham, who in interviews serves up oceans of self-regard, told the Tribune, "There's no good sushi in Chicago" (and he's said the same thing about Austin, excluding his). 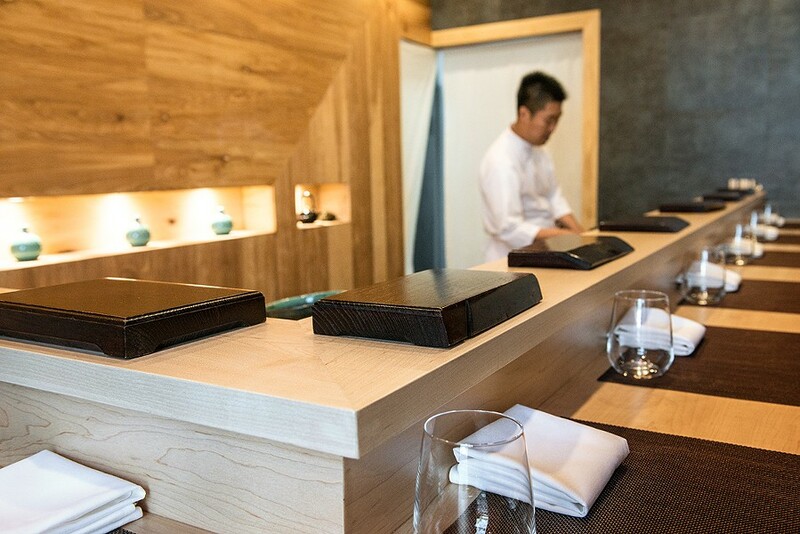 When Pham gave that interview he might not have been aware of chef Sangtae Park, who was quietly readying Omakase Yume, a tiny eight-seat wooden box in the West Loop where he's charging $125 for a 15- to 17-course progression. 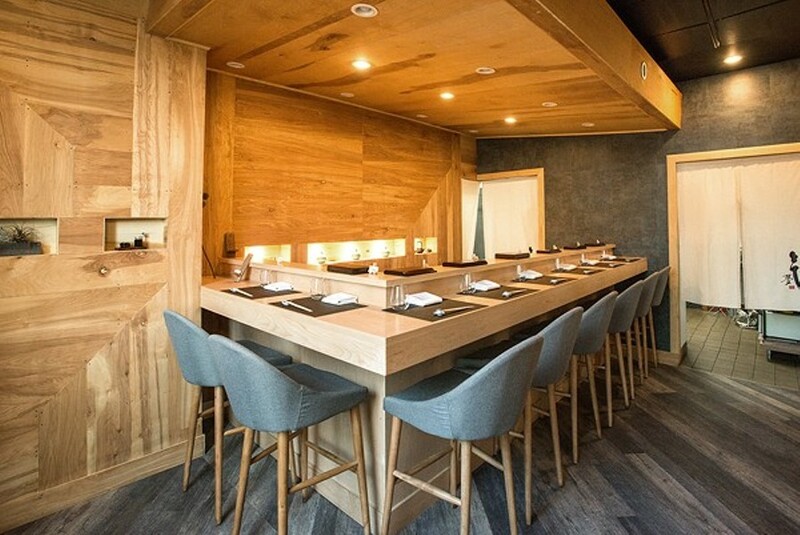 Only 16 people eat every night at Omakase Yume. That's in two services of approximately 90 minutes each, during which they're served whatever fish he's aged, cured, blanched, iced, and sliced. Park—who was born in Busan, South Korea—gets his fish mostly from Japanese and Korean waters, and according to Calvin Pipping, a partner in the venture, his style reflects his upbringing. Park works quietly, but he opens with an audacious assertion of where he's from. 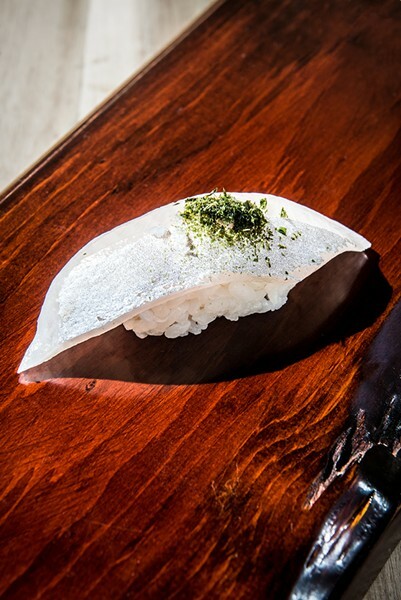 The very first piece of nigiri he mounts on the lacquered wooden tray set before each guest perched at the bar is a slab of pearlescent fluke on lightly vinegared, barely warmed rice dabbed with one-year-old kimchi that has been washed and pureed. The fish is clean and meaty, and the slow funky burn of the ferment cuts right though it and bonds perfectly with each and every grain of subtly tangy rice. It's a bold choice to start a run of sushi this way, but it has the effect of waking up the palate and priming it for subtler yet no less enjoyable feats of fishery. 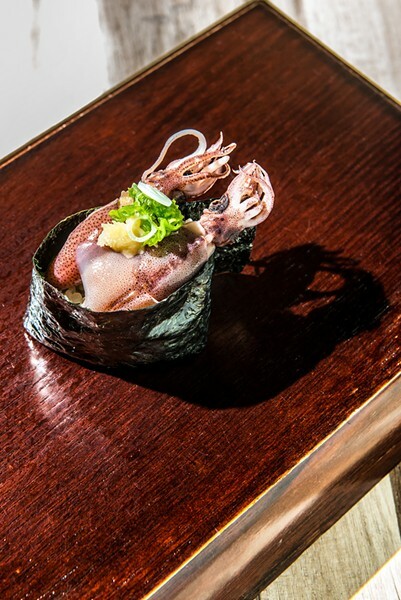 Park is offering a narrative in this classically minimalist style, introducing the nigiri with a few bites of tightly rolled, softly bitter chrysanthemum leaves draped with thick, nutty roasted sesame sauce. Park, who slices, molds, and paints his nigiri with the decisive fluidity of a croupier at a craps table, follows his signature fluke with a tuna trio of the three main cuts of bluefin belly meat—the ever-precious poster fish of overfishing—in increasing order of fattiness: relatively lean akami topped with a farce of scraped belly meat, egg yolk, and miso; then medium-fatty chutoro, a bit more lush and lightly brushed with a blended soy sauce; and finally the prized otoro. At this point the only reason you're not drunk on its exquisite fattiness is the sprinkle of black sea salt and tuft of sharkskin-grated wasabi on top that tweaks the sinuses and brings you back to your senses. There are no tiny bowls of soy sauce to drown your fish in, no gobs of gluey green horseradish paste—just a small pile of pickled ginger slices to clean your palate after each mouthful. There are chopsticks, but ignore them. Pluck each piece up with your fingers to briefly, appreciate the warm—not hot—rice and body-temperature—not cold—fish before popping it straight into your gob. There's time to think about the care and planning that go into these individual morsels. 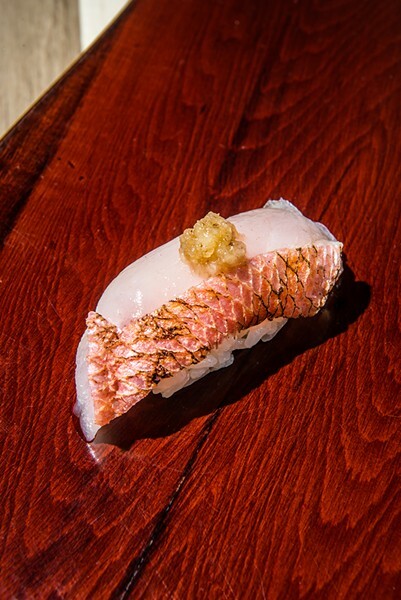 It's likely that there's a piece of kinmedai (aka golden-eye snapper) coming, a fatty deepwater fish that often needs to be aged to reduce its water content and develop its flavor. 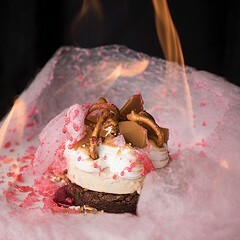 Park blanches its red skin with hot water, then holds its fleshy side over ice prior to serving. 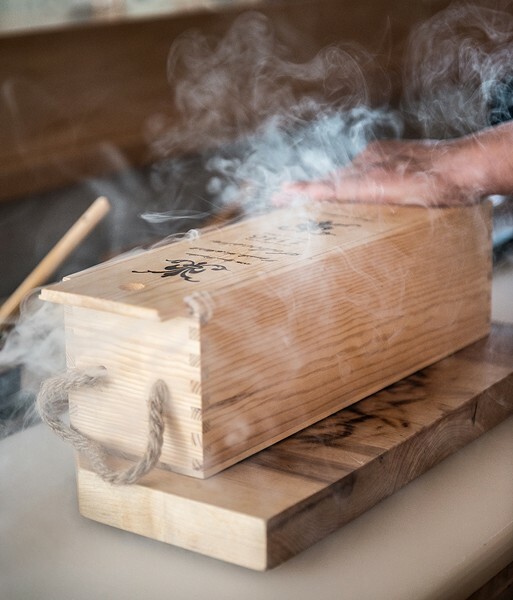 Ōra King salmon is first isolated in a Japanese whiskey box Park injects with a smoking gun that gently melts its fat, then adorned with green onion and soy. 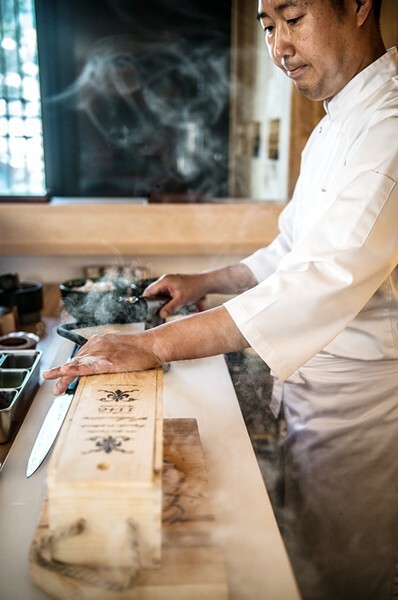 Each nigiri receives a similarly soft whisper of seasoning: a blend of dried ground kombu and bonito powder for the yellowtail, dried aonori powder and Korean sesame oil for the kanpachi, dried shrimp powder for the sweet shrimp, and a light char from a blowtorch for the squid. One of the most remarkable pieces placed in front of me at Omakase Yume was a blood-red slab of bonito, aka skipjack—the same fish that's smoked, dried, and shaved into flakes used to make dashi. 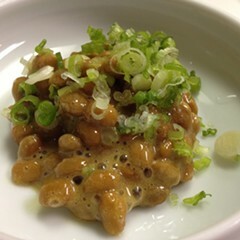 Park dresses it with onion, grated ginger, and a sprinkle of itself in powdered form. In the flesh, the oil-rich, full-flavored meat is like the duck breast of the sea. Park's partner Pipping told me he warned the chef to go slow with pieces like this, that maybe Chicagoans aren't ready for such assertiveness. I disagree. Bring them on. 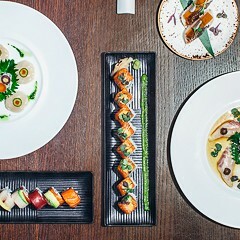 Apart from a soft and lightly sweet piece of tamago, the meal ends with a bite of grilled black cod with miso, a small cup of miso soup, and a parfait glass filled with green-and-white layers of matcha tiramisu, the most flamboyant thing you'll eat here. Some of the most revelatory bites may be yet to come, however. Guests wanting more can order a la carte supplements, often of more unusual species. I chewed on a Lovecraftian-looking heart clam (torigai) that developed an abiding sweetness during the process. A scalloplike pen shell (tairagai) had a simultaneously crunchy and soft texture I can't recall ever experiencing. A pair of pinky-length firefly squid (yes, they glow underwater) are bathed in soy and crowned with grated ginger and green onion, among the cutest creatures I've ever consumed. These are extraordinary moments in an extraordinary experience. But Park hasn't built a shrine around himself. His wife, Kate Kim Park, greets guests at the door and warmly attends to their needs on the opposite side of the bar. 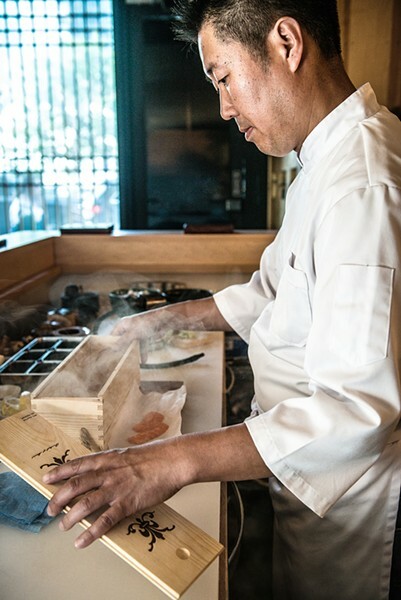 Park operates swiftly, and guests are encouraged to pop the nigiri the instant it lands on the tray. 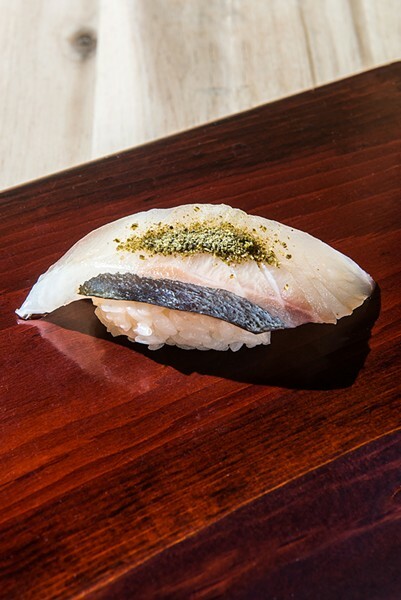 This is in service to freshness of the presentation, but it can lead to some sloppiness, as liquid from the nigiri tends to pool on the tray over time. * And Eater Chicago reports that the owners of Logan Square's Wasabi and the West Loop's Ramen Takeya will team up on a restaurant slated to open Tuesday, August 28, in the latter, at 819 W. Fulton Market. The secluded Lincoln Park spot helmed by chef Naoki Nakashima is refreshingly gimmick free.